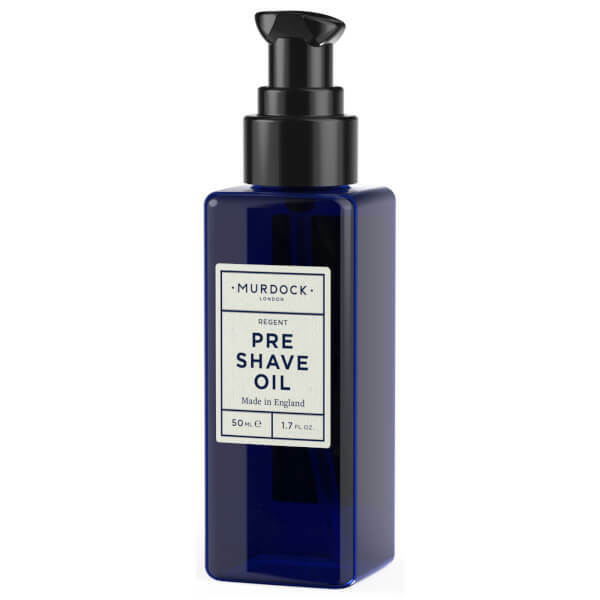 Experience a clean, close shave with Murdock London Pre-Shave Oil; a non-greasy formula enriched with natural oils to soften and lift facial hair for high-performance results. 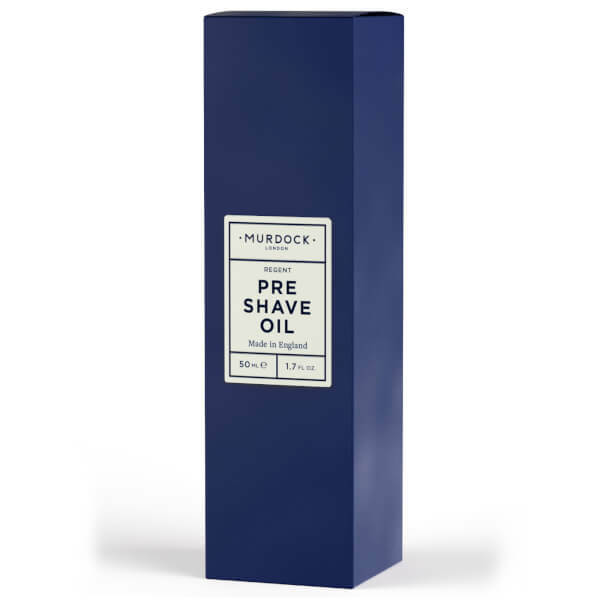 Suitable for even the most sensitive skin or the thickest hair, the luxurious oil promotes smooth razor glide for minimised irritation and burn. 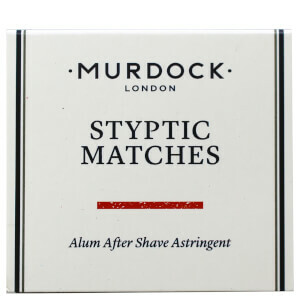 Housed in a convenient pump bottle for mess-free application. 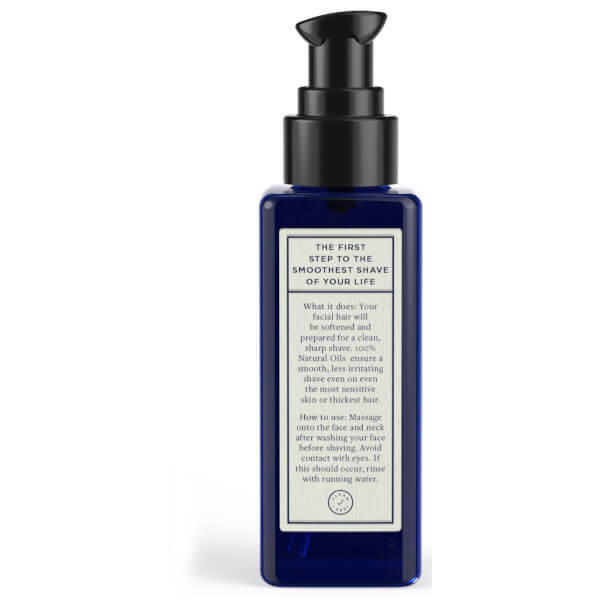 Massage 3 pumps onto face and neck after washing your face before shaving. Prunus Amygdalus Dulcis (Sweet Almond) Oil, Caprylic/Capric Triglyceride, Isopropyl Myristate, Olea Europaea (Olive) Fruit Oil, Triticum Vulgare (Wheat) Germ Oil, Citrus Aurantium Bergamia (Bergamot) Extract, Citrus Aurantium Dulcis (Sweet Orange) Peel Extract, Citrus Medica Limonum (Lemon) Peel Extract, Tocopherol, Citrus Aurantium Amara (Petitgrain) Leaf Extract, Citrus Aurantium Amara (Neroli) Flower Oil, Lavandula Angustifolia (Lavender) Oil, Rosmarinus Officinalis (Rosemary) Oil, Retinyl Palmitate, Propolis Extract, Alcohol, Limonene, Linalool, Citral, Geraniol, Farnesol.